Unlike other recipe apps, Make a Meal helps consumers save money and reduce food waste by suggesting recipes based on the ingredients they have. The app contains 500 recipes, sourced from chefs and cooks around the world. Users can type to search for specific items (like chicken or tomatoes) or search by categories (like Pasta or Meat). Recipes can be filtered for ease and quickness of preparation and tailored for dietary preferences. 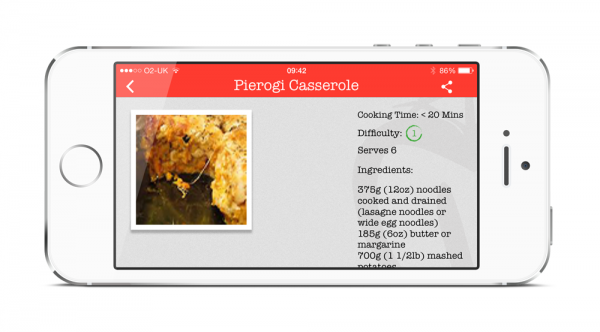 Users can also rate recipes to help them remember the best, mark them as Favourites, or post pictures of cooking achievements to Facebook or Twitter! Paul Saxby has 30 years’ sales and marketing experience within the food & drinks industry, working for large corporations and running his own consultancy. Compsoft have been specialising in mobile since 2009, having designed and developed web-based applications for many years prior. Compsoft combine stunning interface design with cutting edge development to deliver the best possible app for each customer. Our thirty-strong team lives and breathes mobile - we love nothing more than to apply our passion, creativity, skill and experience to each client’s individual requirement. •	Did you know that over 20% of all the food and drink we buy is thrown away? That is £470 per household per year or approximately 6 meals a week! Paul Saxby has 30 years’ experience within the food & drinks industry. Mr Saxby carried out research which suggested that an app which enables consumers to use up their existing food and ingredients would be strongly motivating. The app also includes a variety of features that make it easy and fun to use, including filtering for dietary preference or speed of preparation, rating of recipes, and the ability to post photos of your culinary masterpiece to Facebook or Twitter! Other recipe apps focus on complex, gourmet meals and include functions to help users buy all the missing ingredients, some of which they may never use again. 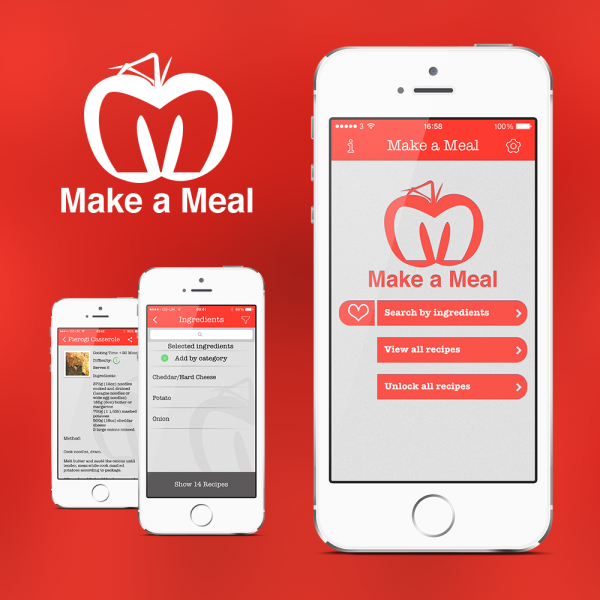 Make a Meal is different – recognizing that many consumers can’t afford to waste what they have in the kitchen cupboard, or simply want some inspiration for a quick, simple meal, the app provides recipe suggestions based on user-specified ingredients. As well as inspiring users to be creative with limited resources, the app includes advice on reducing food waste, thereby benefitting the environment as well as the user. Simplicity is the key to Make-a-Meal – it’s not an app for those who aspire to Michelin stars, it’s for folks who’ve got some ingredients and want inspiration. Integral to the strategy was to design a simple selection interface and a look and feel that was clean and serious as opposed to “cartoonish” (which is common with most food related apps). The user can select one or more ingredients, either by typing in characters and picking a match from the progressive search, or by choosing from a categorised list. 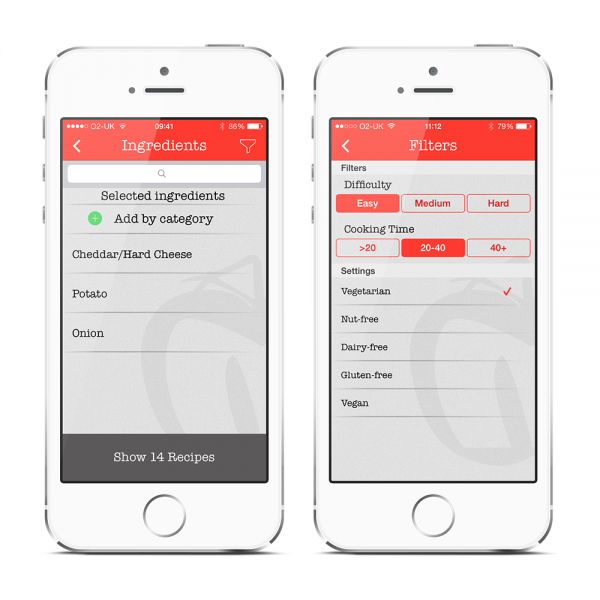 The app can be set (or results filtered) to show just recipes catering for particular dietary requirements, or which meet certain time required and/or difficulty settings. The app then presents matching recipes ordered by most ingredients present/fewest missing, then by user rating (if set). Each recipe contains easy to follow instructions designed so the user can pop their phone on the kitchen counter while they cook! In order to identify the functionality, user experience (UX) and graphic design requirements for the app, Compsoft undertook a Workshop, Specification and Design phase with Mr Saxby. During this phase Mr Saxby and the Compsoft team met to discuss requirements and brainstorm implementation ideas. Further to the Workshop Compsoft created a “wireframe” user journey showing the screens of the app and key navigation concepts. Once the wireframes and been refined and agreed, Compsoft created alternative graphic designs, before amending Mr Saxby’s preferred designs based on his feedback. Make a Meal is the app that reinvents the process of recipe choice by beginning with existing ingredients. This meets the core objective of having to spend less money buying extra food and therefore reduces potential waste. An in app purchase model was selected to encourage free trail with penetration prioritised over commercial revenue. Since launch, marketing efforts have focused on building Facebook and Twitter content and to date 700 apps have been downloaded with a 2.1% conversion rate (to in-app purchase) across USA & Canada (46%), Europe (31%) and Asia Pacific (20%). Conscious that the app will require great content as well as great design, 20 separate users have provided research feedback over the app functionality and its content since first release in late January. 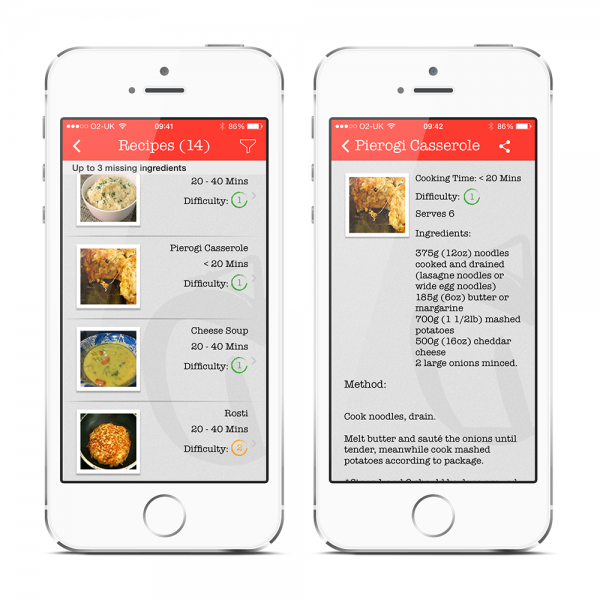 The functionality of the app has scored very highly with the key feedback requiring an increase in content volume to capture more obscure ingredients across a variety of households. The second release, due in Q3, will double the recipe volume from 500 to 1,000 recipes. Subject to final consumer testing, PR and advertising will be used to build user volumes and achieve the year 1 objective of 10,000 downloads, prior to partnering with a broad reach retailer. As no user registration is required and no sensitive user data is entered into the app, there was no requirement to implement specific privacy measures. Integration with Facebook and Twitter was facilitated using the standard APIs made available by those providers, and security is therefore handled via their standard mechanisms. The app is distributed via the Apple App Store and security for this is therefore facilitated by the App Store. The only security consideration was around the app’s recipe content, which is held in a local database including some free recipes and others unlockable via a one-off in app purchase. Elements of the database were encrypted in order to prevent users with certain software (e.g. iExplorer) from getting all the content for free!